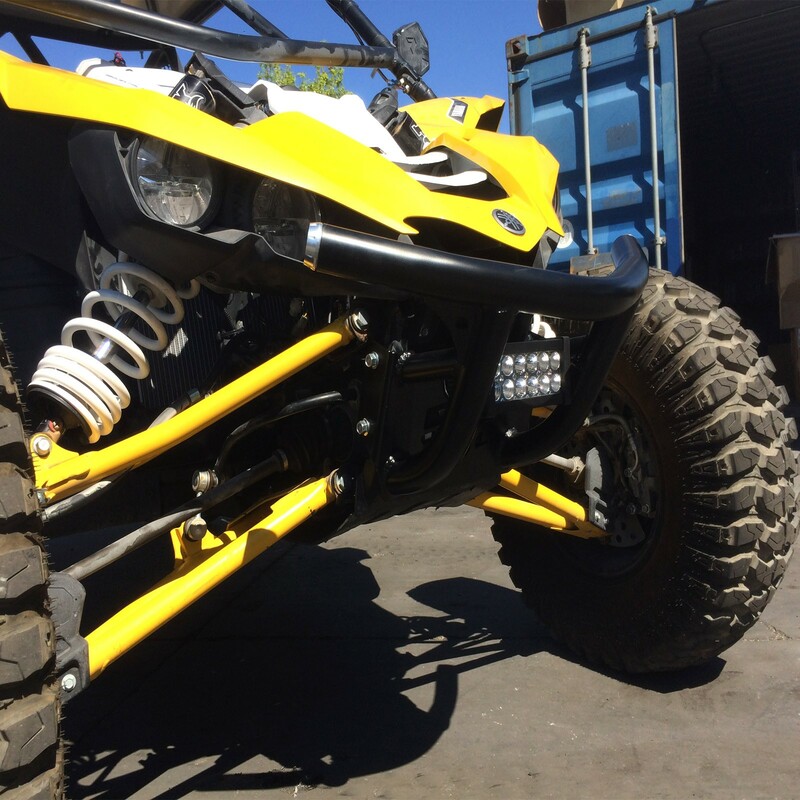 Custom Tubular Front Bumper for Yamaha YXZ 1000R. 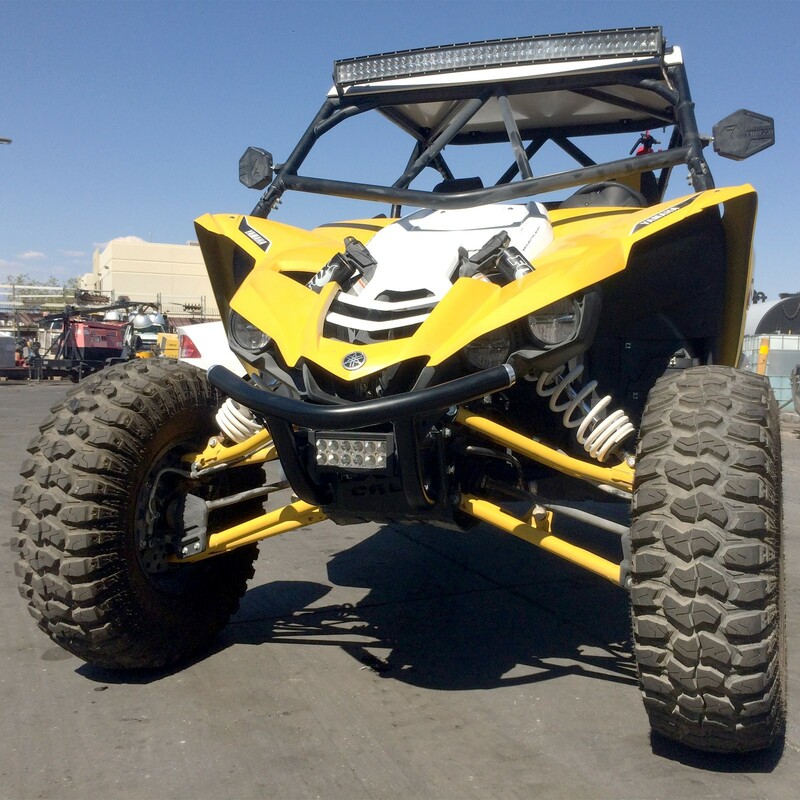 When you take your Yamaha YXZ 1000R off road, anything can happen. 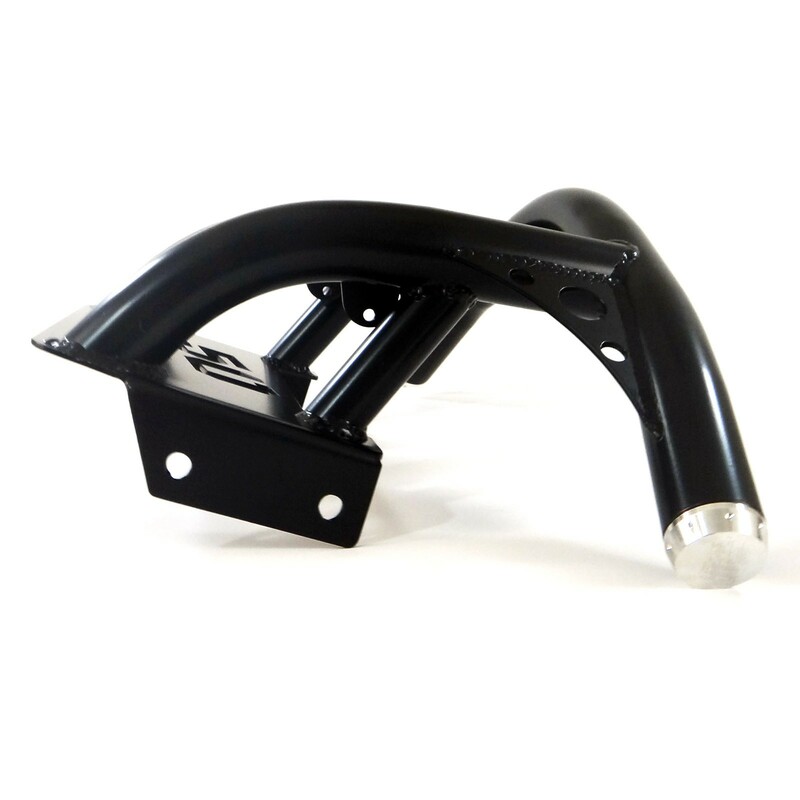 Protect your YXZ with our heavy duty tubular steel bumper. 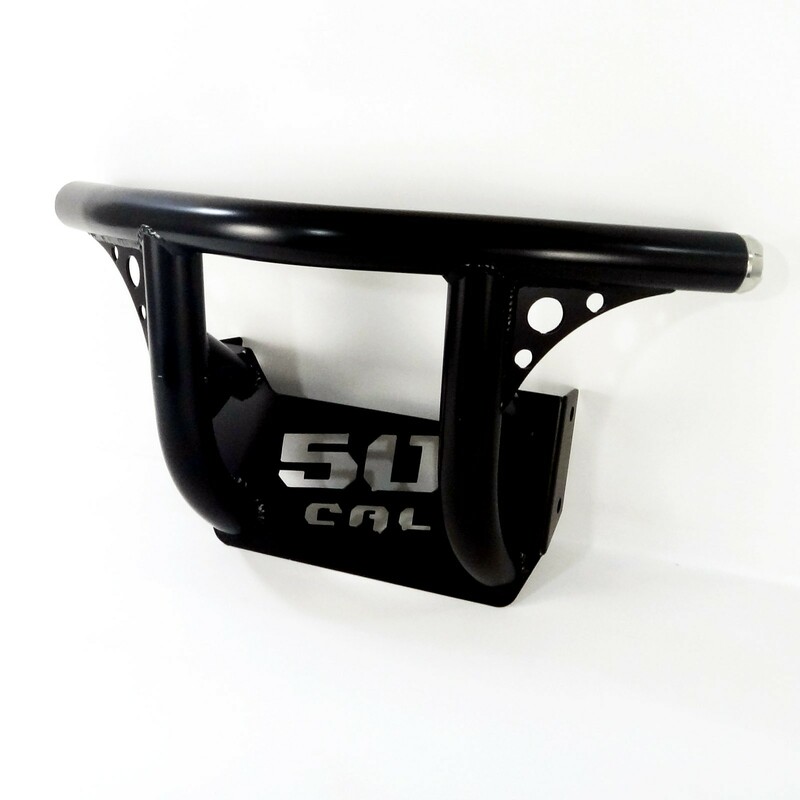 100% hand-built in the USA by 50 Caliber Racing. 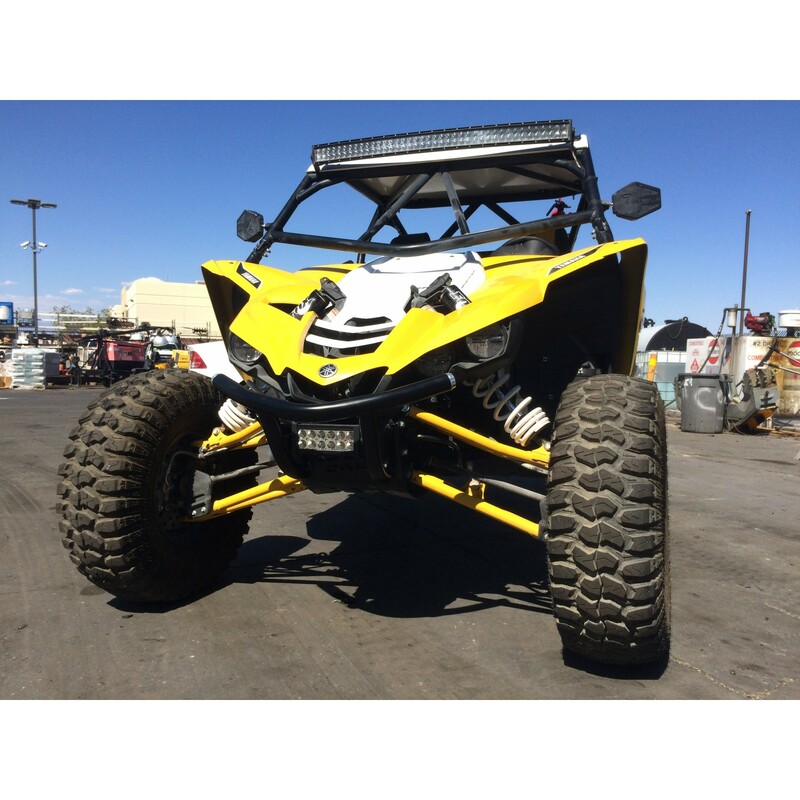 All Yamaha YXZ 1000R Models. When you take your Yamaha YXZ 1000R off road, anything can happen. 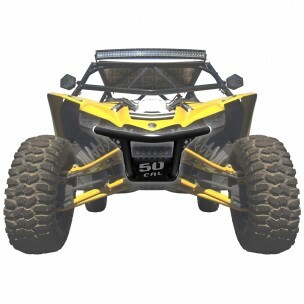 Protect your YXZ with our heavy duty tubular steel bumper. 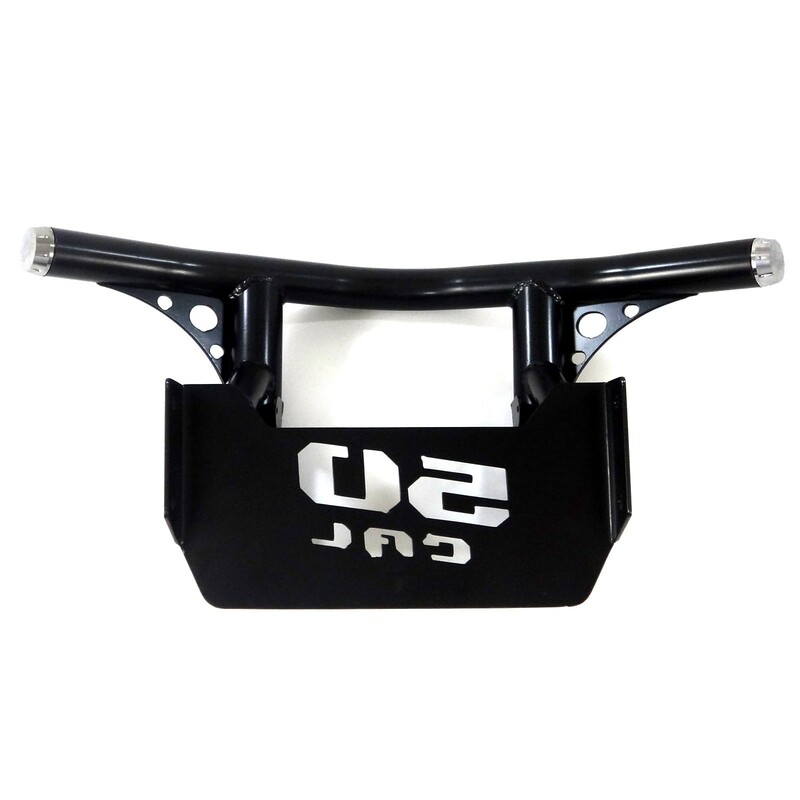 Constructed from .095 wall steel tubing, this bumper is strong yet lightweight. 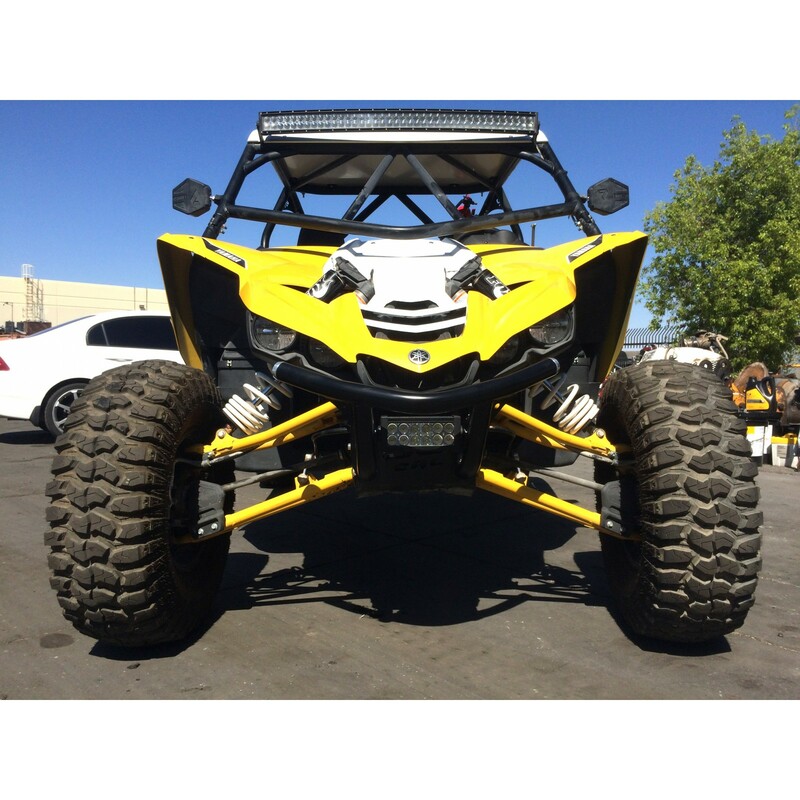 Hand welded joints for strength and durable black powdercoat finish adds to your YXZ\'s aggressive look. Includes our premium CNC milled end caps. They are stout and built to handle abuse. Bolt on design. 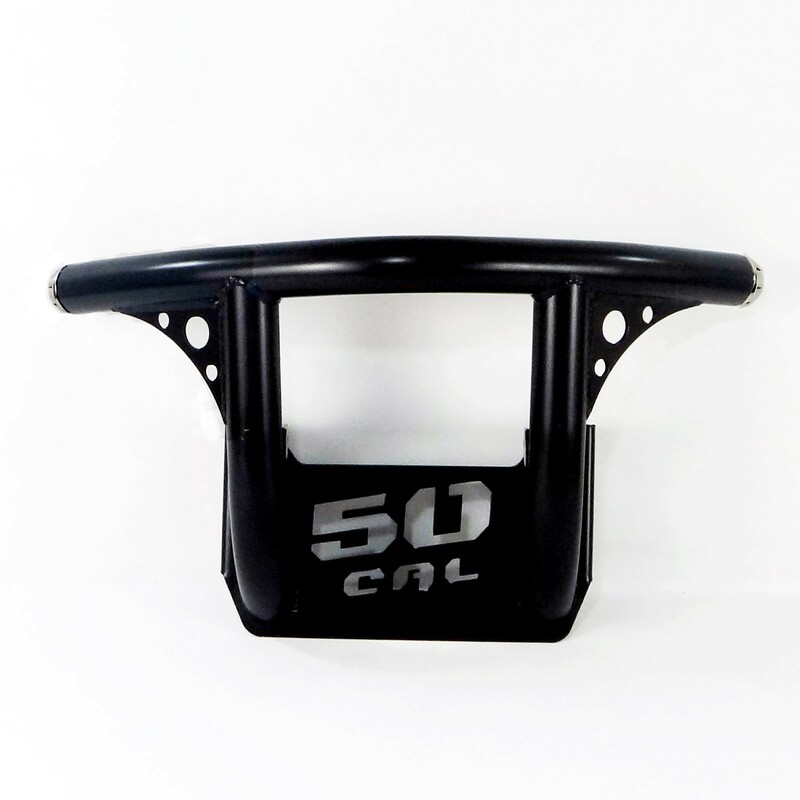 100% hand-built in the USA by 50 Caliber Racing.